It's snowing. I cannot believe it. 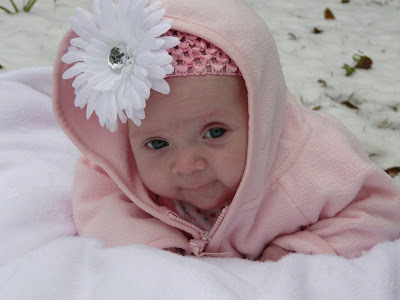 Of course I had to take Kaidi out in it, along with a garbage bag, her fleece blanket and my boppy and get some pics of her in the snow. It may not do this again until she is like 15!